Last week I was invited to an intimate media preview and glimpse into the R & D process at the acclaimed cocktail bar Counter Intuitive. The premise of this unique libation lounge is stellar cocktails, limited Friday and Saturday evening hours, and rotating themes embracing the cocktail list, décor, and complementary food menu. Previous incarnations have visited a New Orleans estate sale, Cuba through the eyes of Picasso, and Shanghai with "Big Trouble in Little China Towns." I'm especially excited about their ambitious concept debuting in May, which will beckon guests back in time to Opening Day in 1929 at the Agua Caliente Racetrack. And more good news! Counter Intuitive will now open two hours earlier at 8 pm starting Friday, May 6th. Kirti Dwivedi, Marketing Consultant from Diya Marketing, introduced Executive Director Rich Furnari and Jason Asher to tell us about what we can expect for next month's launch as we cross the border into Tijuana during Prohibition. As we sipped Jason's frozen Tequila Sunrise made with Azuñia Tequila blanco, lime juice, agave nectar, and cassis, he tells us that part of the inspiration is a tongue-in-cheek response to those who deride Prohibition-era bars. "It’s much more than a fancy bar with a person playing a piano in the background where you have to have a special knock," he notes. 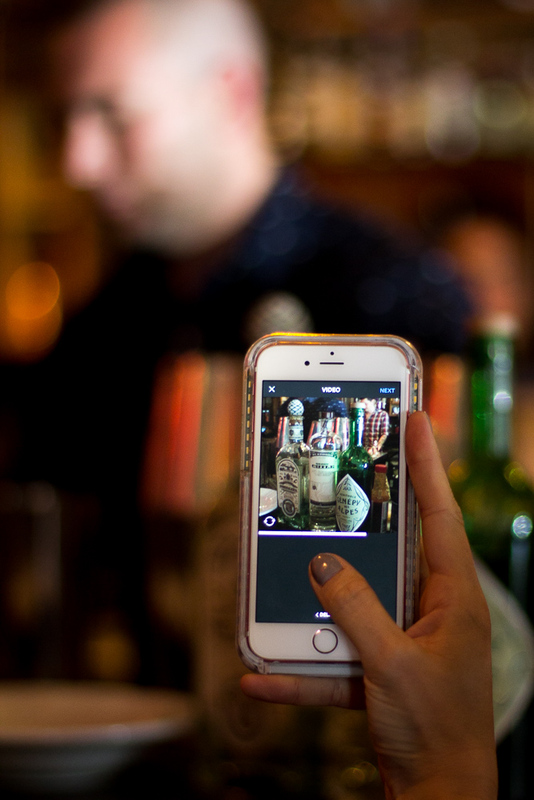 "Prohibition fueled a lot of things and if we can hone in on those things, then this bar, and Prohibition, become relevant. If we can maintain our perspective through all of these really great things like Prohibition, then I think we can be awesome." With drinking and gambling illegal in the United States, the multi-million dollar Agua Caliente Racetrack attracted a wealthy clientele, including Hollywood celebrities and mobsters, with fine dining and entertainers flown in from Paris. This atmosphere will be echoed in Counter Intuitive, along with a drink menu designed as a racing program, Mexican food (I loved the chicken mole), cocktails named after racehorses, and a horse race machine going off hourly. A specific agave distillate will be attached to each horse and discounted for that hour. 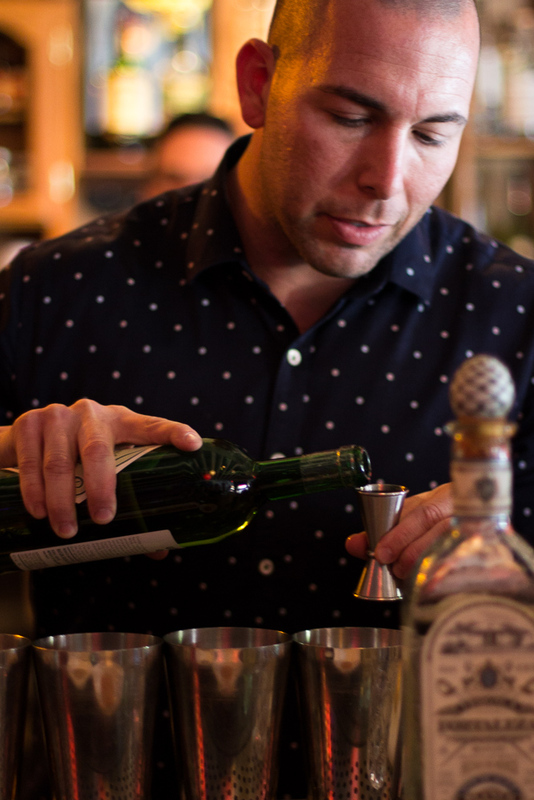 "We want to encourage people to jump out of the tequila norm and jump into mezcal, bacanora, sotol, and raicilla," Jason explains. With a selection of 60+ agave spirits, "Our goal with this episode is to break open the category of agave spirits. We live in the Sonoran desert, and this is really our first tip of the hat to Arizona and giving back to our great state." And with that, we're ready to sample some cocktails off the upcoming list, beginning with Keifer Gilbert's Gallant Sir (named after a two-time winner and record-breaker at Agua Caliente). Jason calls his libation Onrush after another horse that raced at Agua Caliente during its heyday. Jason's Onrush uses base spirits of Fortaleza tequila and St. George Green Chile Vodka, a vodka made with five varieties of peppers and cilantro. He finishes with poblano syrup ("we juice poblanos, seeds and all, and then stabilize it with sugar"), Génépi des Alpes, a little bit of pineapple syrup, and fresh lime. It's a wonderful cocktail, emphasizing the vegetal heat of the poblano pepper and melding it harmoniously with the herbal notes of the tequila and Génépi. 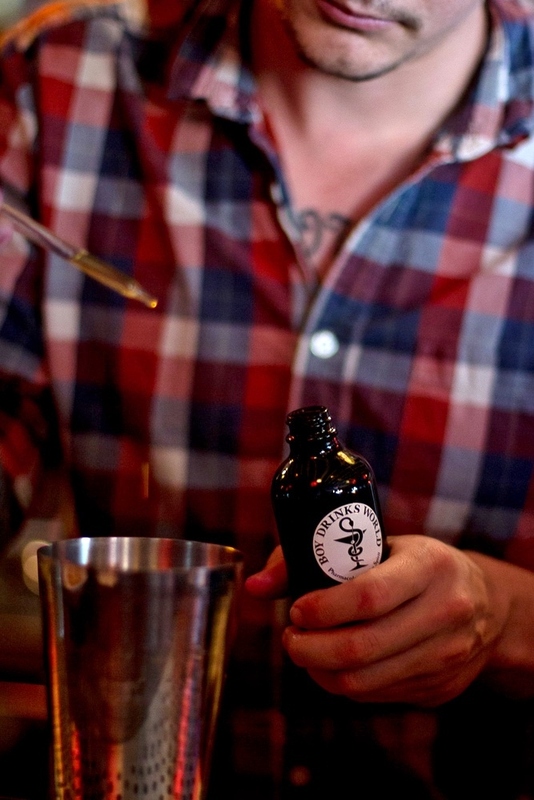 Each cocktail starts off with a bar spoon of Tapatio, one of Mari's favorite hot sauces, before adding passion fruit syrup, Tequila Ocho, and orgeat almond syrup. She also uses Giffard apricot liqueur noting,“I like apricot and spice together." Amaro Ramazotti is another component. "Sometimes I like to use an amaro instead of regular bitters," Mari explains. "It just gives it a different dimension." Fresh lemon juice is the finishing touch in this delicious tiki-inspired cocktail. Mari, who hails from the islands of Hawaii, has a deft touch with drinks reminiscent of the tropics and her delightful Golden Prince is no exception. "This drink is going to be called the Little Nymph," says Clint "Spotty" Spotleson. Spotty uses amontillado sherry as a nod to the Spanish influence in Mexico. It's creatively blended with cherry tomatoes and Campari (inspired by a drink made by colleague Tyson Buhler), St. George vodka, watermelon syrup, and lime juice. Garnished with chile-dusted watermelon, it's a refreshing sipper with a sophisticated balanced sweetness. There were also votes taken on a last round of drinks to determine which of those would be added to the menu. The winner? Music Wheels with Bulleit Bourbon, Hanson Habanero, strawberry syrup, Ramazzotti amaro, lemon juice, and tiki bitters. Congratulations Keifer! Counter Intuitive's Agua Caliente Racetrack 1929 episode will debut on May 5th, and will be open to the public on May 6th at 8 pm.